The nightclub, if found guilty, could be fined up to $1,000. A message to Bodi Chicago nightclub — Justin Bieber does not do well in bar situations. The Chicago nightclub was cited Wednesday for allowing the 19-year-old pop star inside the 21-and-over establishment. The nightclub, if found guilty, could be fined up to $1,000. A hearing has not yet been scheduled. The VIP party venue in the 800 block of North Orleans Street offers pricey bottle service and late-night snacks, according to the club’s website. 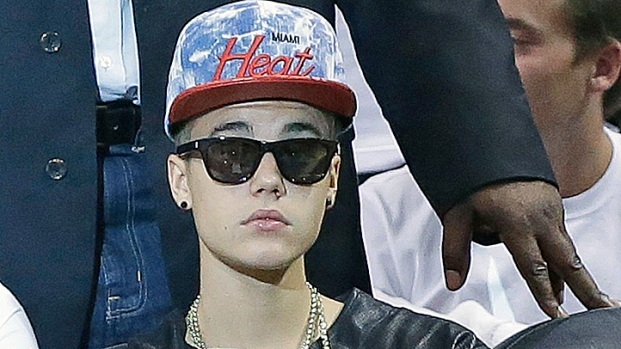 But the nightclub isn’t the only one picking up the pieces from a Bieber visit this week. Bieber is also getting flak after getting caught on camera urinating in a mop while saying “F—k Bill Clinton” in New York City. Closer to home, Hawks fans expressed outrage after "The Biebs" committing a sacred no-no in the Blackhawks locker room by stepping on the Blackhawks Indian head before his United Center concert. The Blackhawks said they had no issue with the pop star, according to a statement released later by the team. "As frequently happens with guests into our room, Justin inadvertently stepped on the team logo on the floor but moved off quickly once immediately reminded," said Brandon Faber, senior director of Media &Community Relations. "He was apologetic and understanding of the tradition but continued to take photos with the Cup and some young fans. He was extremely genuine and kind with his time. We appreciate his enthusiasm towards hockey and wish him well with the remainder of his tour." He was also on damage control with Bill Clinton Thursday as he apologized to the former U.S. president. It appears Bieber may have mastered the art of cleaning up his messes but he might want to take some advice from Clinton and focus on the good that he can do for the world.